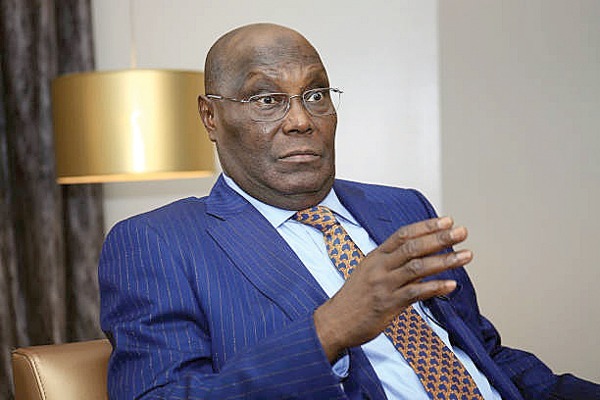 PORT HARCOURT— PAN Niger Delta Forum, PANDEF, has said the Leaders and Elders Forum of Nigeria’s support for Alhaji Atiku Abubakar’s ambition means total supports for Peoples Democratic Party, PDP, in the 2019 general polls. The Nigeria Elders’ Forum had on February 3, endorsed Atiku as its presidential candidate. Similarly, All Cross River Nationals Front, ACRNF, the local chapter of PANDEF, said it supports the endorsement of Atiku Abubakar, by Nigeria Elders’ Forum because he promised to restructure the country in his first six months in office, if he wins. PANDEF’s Secretary, Dr. Alfred Mulade, during sensitisation of Rivers State stakeholders in Port Harcourt, and Calabar, Cross River State, respectively, yesterday, said Atiku, if elected, cannot achieve the expectations for which Nigeria’s elder’s and leaders endorsed him if he does not have PDP’s majority support in the states and National Assembly. The expression of support which kicked off in Akwa Ibom State on February 9, shifted to Port Harcourt and Calabar and was witnessed by members of the national leadership of PANDEF and support groups in Cross River State, including, Senator Florence Ita-Giwa, Senator Bassey Ewa, Col Pam Ogar(retd) among others. Speaking, Mulade said: “The declaration of support for Atiku was being done simultaneously across the Niger Delta region. Also, Senator Ewa said the groups decided to support Atiku because he promised restructuring within six months if elected as president. In Port Harcourt, Mulade said: “PANDEF, though not political, must be interested in who becomes President because its disposition to Niger Delta is critical to moving the region forward. “Our position, same as the collective position of elders and leaders across all geopolitical zones was to support a candidate best committed to restructuring.